I want to talk a little bit about the kinds of people who come to the Ulpan at kibbutz Ma’agan Michael. During my eleven weeks on the kibbutz, I’ve gotten to know people fairly well and have been able to abstract people into a handful of basic categories. Understanding these categories provides some valuable insight, I think, into Israel as a state and those who choose to move there. Israel has a very interesting immigration policy: any Jew from around the world is allowed to move to Israel and become a citizen. The process, known as “making Aliyah” (aliyah is a derivative of the hebrew word for “going up”), is very institutionalized and state-supported. Someone choosing to make aaliyah, known as an “oleh chadash,” or new immigrant” receives a number of perks from the government (free money and transition support) and has a number of obligations to the state (most often, military service). The concept of “making aaliyah” is huge in the jewish world, and many young people immigrate to israel every year on this program. I believe a little more than half of the students on this Ulpan fall into this category–people for whom the Ulpan is their first step into their new lives in Israel. The state of Israel covers most of the cost of the Ulpan for these students, as well. For these students, the end of the Ulpan means the start of their independent lives in Israel, either the start of their army service or the start of their search for work, housing, and stability. The Olim can be further subdivided into two broad categories: fresh-starters, and zionists. The “fresh-starters” are people who came to Israel due to a lack of opportunity in their home country, or to escape a hostile environment. These people generally came to Israel looking for a better life for themselves. Their education and age level varies, and they tend not to be vocal about their politics. The “zionists” are people who came to Israel for ideological reasons: their belief in the state of Israel, the need for Jews to settle the land, their feeling that Jews “belong” in Israel. They tend to be more passionate and purposeful than the “fresh-starters.” Many of them are young (18 or so) and the majority of the people in this category are fairly right-leaning, pro-military, anti-Palestinian in their political views. I found an unsettling amount of racism and anti-arab sentiment among these people, which was discouraging. There are some left-leaning people in this category, however. 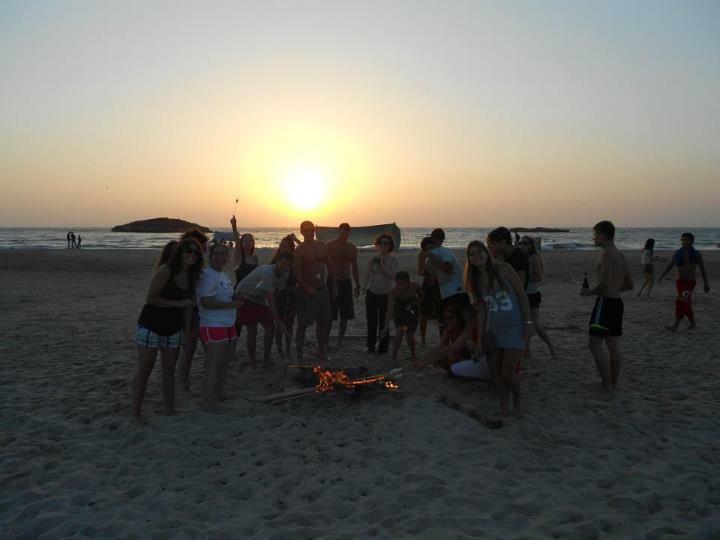 Everyone who doesn’t fall into the category of “oleh chadash” can be classified as a “tourist,” in the sense that they are in Israel specifically to attend the Ulpan program and will return to their home countries at the end of five months (or continue traveling elsewhere). This is the category I fall into. Tourists have to pay significantly more for the Ulpan than the olim as well (I paid $5,000, although I received a $3,000 grant from Masa, a jewish organization, to offset the cost). The tourists also fall into various categories, based on their reason for attending the Ulpan, coming to Israel, and their situations back home. Almost by definition, tourists are coming to Israel on gaps between various major endeavors back home. I think the plurality of tourists are taking gaps between high school and university–these are 18 year olds having their first major taste of life in another country, of life on their own. A smaller group of tourists are taking gaps in the middle of their higher education–people who needed a break from college and came here looking for relief from academia, looking to pick up a second language, looking to work on themselves. A slightly larger groups (and the group I fall into) are the post-university people, those who finished their degrees and are here to adventure and explore a little before returning home to start their lives in earnest. What brings these people to Israel (over other places they could go) tends to be family. I believe that the majority of tourists have family in Israel, and came here with the intent of spending time with their family here. Some have siblings who have already made aaliyah, others have aunts and uncles around the country (I have six). There are a few tourists who came here for other reasons, such as furthering their Jewish identity (not to say that the other tourists aren’t of course), and don’t have any family in the country. For tourists and olim alike, the Ulpan seems to represent a low-stress, easy reprieve from the lives they’ve been leading or intend to lead. It’s not a time for hard work and struggle, but rather a time for neither. That tends to create (the average age of the Ulpanists, around 18/19, also plays a role here) a culture of partying and shallowness. Some people like it, some find it frustrating. These are generalizations of course, and every individual combines and transcends the categories I’ve given. That said, I think this sketch conveys the majority of the situation on the Ulpan. Really enjoyed your post. I made aliyah in 1983 – returned to England in 1985. Your post brought back many memories.